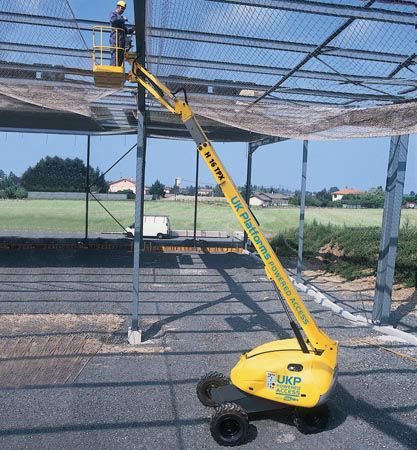 These stable and versatile booms can be used in positions from near horizontal to almost vertical on flat, firm surfaces. Working heights of 14-25m can be achieved. Choice of models to suit your height and reach requirements.